The 36th Annual Association of Otolaryngology Administrators Conference in New Orleans (AOA-36) focused on the present and future of ENT practice management. 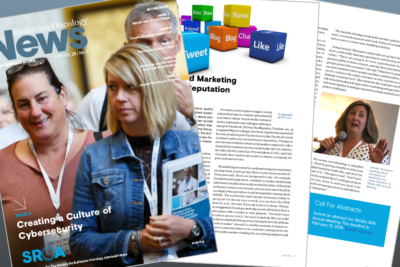 After attending and hosting a session on the role of social customer service in otolaryngology practices, we wanted to share a handful of our key takeaways with listeners. One of the things we continued to hear throughout the conference was that with the rise of online reviews, more educated patients and increasing price transparency, a comprehensive (and engaging) marketing plan is vital to maintaining both the short- and long-term sustainability of independent medical practices throughout the country. Not only that, but effectively running and marketing your practice is now a team sport more than it ever has been in the past. Your frontline employees and support staff play a significant role in patient satisfaction and retention (beyond the care you provide). 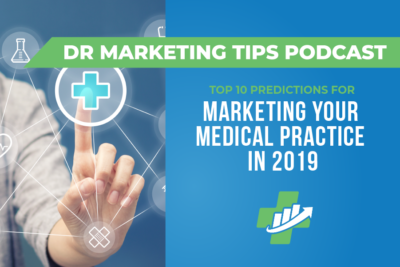 Join us as we break down how current developments in healthcare marketing and delivery are going to be game-changers for your medical practice and what you can do to capitalize on them to drive referrals and keep you one step ahead of the competition. Jennifer: Hey there. 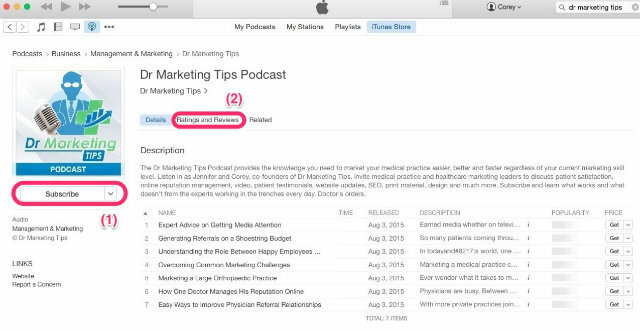 Welcome to the Dr. Marketing Tips podcast. I am Jennifer. 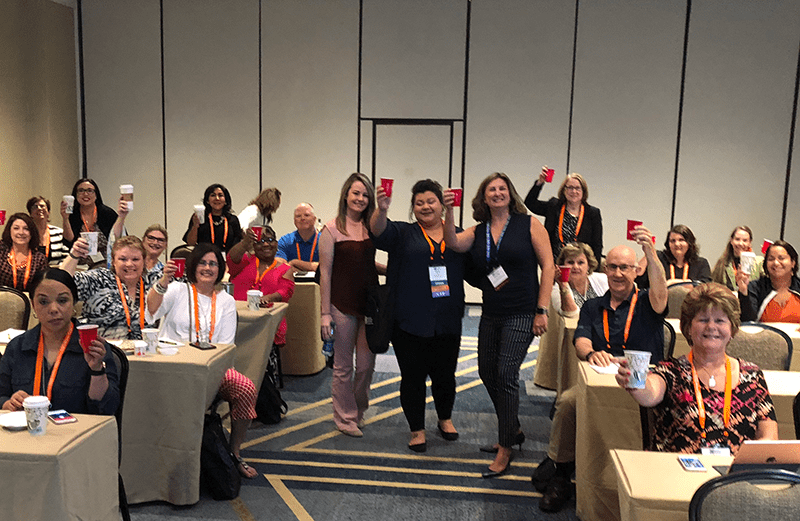 Jennifer: And we are here today to share some of our takeaways from the 36th Annual Association of Otolaryngology Office Administrators Conference that we attended this past week in New Orleans. Where I had the opportunity to speak to the group on a myriad of topics including social customer service, which is really the marriage between social media and customer service. Then we had several members of our team that were there and Corey and I both took the time to use it as an educational opportunity to brush up on our skills and really good to know some of the office administrators that we work with on a regular basis. So we thought we’d bring you some of our key talking points, kind of our takeaways related to the conference and maybe you can take this and implement it back into your medical practice. So Corey, let’s go ahead and get started. What’s the first takeaway that you have from this past week’s conference? Corey: Yeah. One of my takeaways was I sat in a session and we discussed what happens when you’re ready to kind of expand your practice and bring in a new physician. So, what are some of the challenges and the opportunities there and there was actually, excuse me, there was a slide that I thought was really interesting and it was talking about the difference between seasoned physicians and new physicians. So the way that the presenter had broken it down was she was saying seasoned physicians were a little bit older, typically they’re 55 plus. They’re kind of part of that baby boomer generation and the new physicians, those are sort of like the gen x type physicians and I just want to run through a couple of quick points that he went through. So the seasoned physicians, they kind of believe that career advancement takes time and newer physicians sort of seek advancement and promotion opportunities more quickly. They’re a little bit more hungry. Seasoned physicians are also accustomed to higher incomes over time, whereas new physician sort of, they want a higher starting salary and they expect the patients to actually do a little bit more education on their own first before they come see them. So the newer guys kind of think that the patients are going to be a little bit more versed on what’s actually wrong with them, which I thought was a really interesting point. The final thing that he mentioned I thought was really interesting was how different patients sort of connect with different patients. So if you’re a seasoned physician, you probably connect with a little bit older patient and sometimes some of the younger patients connect a little bit with some of the younger guys. I thought that was really interesting. Jennifer: Yeah and I think what you’re talking about makes perfect sense that, you know, it’s just a matter of some of the younger guys like one, they’re more up on the latest technology, but they might like to get out there and get their hands dirty a little bit more, because they’re used to being responsive and working within the phone or working within that particular technology. Where the older guys, you know, the older doctors are, I don’t want to say stuck in their ways, but they just grew up on a different platform. I think that from a marketing perspective, when we’re doing our strategic documents for next year, it might be worthwhile to do kind of the persona testing where you are looking at your patient personas and then also taking the opportunity to look at your physician personas because there might be the opportunity to engage your physicians if you take the time to do the personas. You know, like for example, Dr. Jones is 42 years old and he grew up on a smartphone, was probably an early adopter of the first iPhone. He went to school at a time where they didn’t use the blue books, but instead they took their tests online. Dr. Jones receives his information in snippets, and he is constantly on the go, and he’s able to juggle many tasks at once. What type of marketing can we do for Dr. Jones versus, you know, Dr. Bob over here who is 60 years old, took his test in college in a blue book. He is used to writing things out in long form and maybe is more meticulous and likes to check things off a list slowly, or he gives more time to the patients. Which patient should we sync up with Dr. Bob over here? So I think there’s something to be said about doing that as part of your strategic document. I also take it, Corey, and I would be curious on your thoughts for this one, but I also think that it’s interesting that more of these younger physicians are opting to be employed physicians, whereas some of the older physicians are opting to try to stay independent and I think that’s part of that generational mindset as we move forward and as practices start to grow. Corey: Yeah, absolutely and I think that really affects kind of the recruiting pool. That’s something that we heard a lot from some of the folks that we were talking to at the conference. Some of them are having a hard time actually getting residents to come join the practice because like you said, they wind up being employed. So I think that’s a really good point, and one more thing I wanted to mention there was if you have a little bit older of a physician or if you have several older physicians or several younger physicians, it really does impact the culture of the practice. So that’s something to consider when you’re hiring, as well, because like you said, a lot of the older guys, they’re going to want to do things a certain way and that’s going to have sort of a trickle down effect and it’s going to affect everything in the practice. Even, you know, sometimes how you market or when you can market, what the budget is, because a lot of the older guys don’t believe in marketing. Some of the younger guys are going to be very gung ho and they’re going to want to market and expect you to have a plan. Even things small like celebrating birthdays, some of the younger guys will probably jumped into some pictures and they’re all about it. Some of the older guys maybe not so much. It just sort of depends. Jennifer: Yeah, and I think that there’s, you know, it’s probably a total separate podcast that was said, but the fact is like some of the older guys may be adverse to the idea of marketing because back in the day they were not allowed to market themselves. You know, back in the day it was frowned upon or it was even a policy that you couldn’t market yourself. Whereas the new guys, I mean they’re getting it drilled into them during med school and during post graduate schools, you know, that they have to go out there and market, because we are going from where the patient didn’t have choices, to now where the consumer is in complete control. Corey: Absolutely. That’s a great point. Jennifer: So those are great takeaways. So my first takeaway from the conference, which was kind of a bigger picture for me, but basically it muddled down to we’ve got to be preparing for more and more patient engagement and price transparency. For me, I attended a session that talked about the economics of healthcare and in one area in particular, we were talking about disruptors, and specifically about what Jeff Bezos and Warren Buffet are doing with their companies is potentially going to change the way that healthcare is. You know, they haven’t really announced exactly what the disruption of healthcare is going to be, but the speculation is that basically they’re going to go out there and they are going to partner with all of the insurance companies and the practices within the networks and they’re going to get complete price transparency. So then as a company, the speculation is that as a company, you will offer your employees a level of healthcare that pays up to a certain amount for a knee replacement and they use, you know, the idea being that it would be like the Amazon model and all of the prices, because they’ve gotten this through the insurance carriers and not necessarily to your practice on what the reimbursement rates are going to be. That all of these prices will then become available online and just like when you’re shopping on Amazon, you can decide if you want the knee replacement from one vendor or another because you already know what your company is willing to pay you on a reimbursement standpoint. So this idea being that if we commoditize healthcare to this level, that we have to be prepared for even more patient engagement and price transparency, in that you’ll no longer be able to compete just because you have great doctors. You know, at the end of the day when, as a healthcare consumer, you’re sitting in your living room trying to decide where you’re going to go get your knee replacement, you may like Dr. Jones, but at the end of the day, if Dr. Jones and Dr. Bob have the exact same credentials, maybe you haven’t met Dr. Bob and interacted with him at the same level, but he’s, you know, 50% of the price. If you’re only going to get reimbursed on 30% of the price anyway, then chances are you’re going to start price shopping. So it really does potentially change the way that healthcare is delivered and changes the model from a marketing standpoint. I think another piece of that, you know, part of that same equation for patient engagement and price transparency for me, is I was in a discussion about over the counter hearing aids and just talking about how audiology has changed over the years. It was interesting because the company that was presenting was referencing a survey that had been done to consumers and asking them, you know, “Where will you go to get your next hearing aid?” You know, this audience in particular was saying, you know, “The place that I’m going to go,” you know, we were thinking that they would say Costco, or Sam’s Club, or Walmart, or somewhere like that because now more and more you have traditional retailers that are dipping their toes in the OTC hearing aid arena, but that wasn’t the case at all. So what is it you’re going to be competing on? 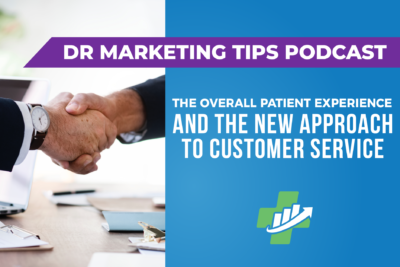 You’re going to be competing on that patient engagement piece, on that customer service piece, on that patient experience piece. That is what you’re going to start having to compete on. That is one theme that I heard over and over and over is be prepared for more patient engagement and part of that, it’s going to be partly driven through this whole uptick and price transparency. Corey: Well, and I think that we talk about this all the time. We use this example, but like you said, I think if all things are equal, you’re going to go to wherever, you know, you have a preference, or you like their website more. We always kind of take it back to the Yelp example of picking somewhere to like go get a burrito. If the prices are the same, you’re going to go to the one that’s rated better because they, you know, social proof, it looks like it’s going to be a better decision and you’re going to have a better experience. That’s the one that you’re going to trust and you’re saying the same thing here. If you can’t compete on price, then you’ve got to compete somewhere else and it just makes sense that you would do that from a review standpoint. I think transparency is scary, but ultimately good for the end consumer. Jennifer: No, I absolutely agree with you and I think that, you know, price transparency is just going to force everybody to be more transparent and that is a positive thing, but you’re absolutely correct that word of mouth, and patient engagement, and overall consumer experience is what is going to be the game changer moving forward. So I think that this is particularly troubling to those practices who are not comfortable in the consumer marketing area. Corey: Yeah, exactly, and we saw a lot of that at the conference. You know, there was practices of all sorts of different shapes and sizes and some of the single provider practices in more of like a rural area, they are not obviously as well versed as somewhere where there’s, you know, let’s say 12 docs in a metropolitan area. I think that talking to them, it provides not only good perspective for us but good perspective for them too because then they can see what some of the other practices are doing and what they need to be prepared for. So, some of the practice managers that we spoke with, they said that doing the office renovations, doing the radio ads, doing the TV, doing the social media, all of that has really helped their bottom line and they don’t know if they’d be able to sustain the business without really marketing it. Jennifer: No, absolutely. I think, for me, as I was in that same session as you were, one of the biggest takeaways that I had is how important the physical space is. So we have a client who has a spa within his practice and I’ve often thought to myself like, “Hm, would I come here if I didn’t know this physician?” Because I think the spa, you know, it’s very nice and at one point it was probably considered luxurious and the most cutting edge or leading edge from a decor standpoint, but to me it felt very dated. If you’re trying to get top dollar from a spa leading into your aesthetics practice or leading into even your facial plastics or just plastics practice, I think the dollars spent as soon as the potential patient walks through the front door, are dollars well spent and going ahead and upgrading those physical spaces was one key takeaway I took from that session. Really the second was, is that, you know, from a retail standpoint, when you’re in retail marketing, we talk a lot about like lost leaders. You know, things that you’re willing to lose money on or give away for free or something to that effect, and I thought those discussions were interesting in that, you know, those practices we’re talking about, they’re potential loss leaders. Meaning like we’re going to spend a lot of dollars to bring somebody in here for a professional MD supervised facial, knowing that that facial customer down the road could turn into a facelift customer and then that facelift customer could turn into an ongoing customer for true professional level of skincare products, because you don’t want to jeopardize the face lift. So I think sometimes with the practices that we’re working with that, you know, there’s that thought that goes into, well we’re going to start a spa, but you have to go back to the why you want to start a spa. The reason you want to start the spa, the why, is because you need to create a stream of potential patients to feed the mothership, to feed the actual services that are paying the bills, which are the facelifts, and the rhinoplasties, and things of that nature. So I thought that was a really good discussion, but what really drove home to me was this concept of you have to invest, not just in the dollars from a marketing standpoint, but from the things that as soon as you open the front door, if you’ve got an old office, it’s time to make that investment if you’re going after that consumer market. Which is back to what we were just talking about, is that more and more we’re going to go after those consumers. Corey: Yeah, absolutely. You can’t just sort of put a case in the waiting room and then call it good, which I know that you’ve seen, Jen, and I’ve seen it too. You need to let people know you’re there, that you provide great outcomes. Testimonials are huge obviously, and then you have top-notch all around facilities, all of that has to come together to really make the patient not only feel comfortable and competent but want to come back and I think that’s the key there. Jennifer: Yeah, it’s like AdSense, but, you know, it’s offline. Jennifer: So which kind of leads me into my second takeaway and that is that running a practice, it’s now a team sport. It’s no longer, you know, what you do online or to get people in the practice is not tied to what happens when you get to the practice. It’s all one and the same now. You know, it’s all about consumer engagement and marketing has to play in the sandbox with customer service, who has to play in the sandbox with your front desk people, who has the play in the sandbox with your call center people. It’s all connected. You can’t run a marketing promotion to get people into the front door without working with the folks that are going to be taking those calls and scheduling those appointments, and without, you know, making sure that everybody on the team is educated from a standpoint of every single thing they do. I think the stat that you showed me the other day was like 75% of the time a patient spends in the office is actually with your team and not with your physician. So, you know, it’s a team sport in that those frontline employees are playing a huge part from a marketing standpoint now as it relates to reputations and reviews. So my biggest takeaway is it’s not just one department, it’s an entire team and everyone has got their hands a little bit in everything. Corey: Exactly and that’s actually, that was my third takeaway. So everyone is a marketer and the stat you referenced, I’m going to just provide a little more context to that because it’s my new favorite stat. It was a study published by the American Journal of Managed Care in 2015 and it said the average clinic visit is 84 minutes. Of those, 20 minutes are spent with the physician and the other 64 are with staff. So that’s about 75% of the time is spent with staff outside of the main clinician. So in other words, if you have a bad or disengaged staff, your patients, most likely, are going to remember your office more for that and not for the level of care that you actually provided. I’ll say that we see that literally in every single day as we’re looking at online reviews that we monitor and things like that for some of our clients where they’ll say the doctor is great, the front desk person is one of the rudest women that I’ve ever seen. So then they went online, left a one star review which hurts the practice’s overall reputation because, you know, Janice upfront was having a bad day. They’ll say right up front that the care was incredible, the doctor was great. I feel better, but let’s talk about how bad Janice was and I think that the more that gets drilled home, and it’s used as an education and an incentive for employees, your practice is gonna be so much better because of that. I think that we’ve started to see a big shift towards that and this conference sort of, I think it really reinforced that these things start to matter more and more every single day. Jennifer: Absolutely. I couldn’t agree more and I think it rolls us right into what I think is both of our final takeaway and that’s that employee engagement because of all these things, employee engagement matters more than ever. Because you can’t have a successful team, and we just said that, you know, running the practice is a team sport, you can’t have a successful team unless you practice together, and unless you understand each other and you can anticipate, you know, what’s important to one another. You know, everything, especially as we become more consumer focused and consumer driven and having to throw out there in the price transparency, the way we engage employees, and the employees how they feel, and act, and the smile on their face matters more than it ever has and it matters when patients are on the way in. It matters when patients are there and it matters after the patients leave the practice itself. 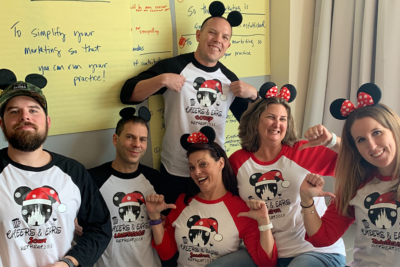 So I think to me, that was a giant takeaway, is that employee engagements and what we’re doing to build our teams internally is the game changer for practices moving forward. Corey: Absolutely. I couldn’t agree with that more. Jennifer: Well, there you go. Those were my big takeaways. You got anything else to add? Corey: Be sure when you’re hiring you know what age you’re hiring. That was the only other thing I could think of to wrap it all up is to say that employee engagement matters, and then you also have to consider what type of people that you’re hiring, what their backgrounds are, how diverse they are, because all of that sort of gets served together and that’s your office culture. 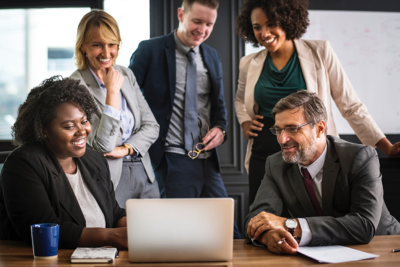 As practice manager, you might have some HR people, you may not, but all of that sort of comes together to create your culture and that’s how employees stay engaged, and that’s how patients stay happy. Jennifer: Absolutely and I think that my biggest, you know, leave behind here is that we are recording this on September 18th after spending a week in New Orleans interacting with these practice administrators for the entire week. As everybody goes back to their office and, you know, those folks that are listening start thinking about what you’re going to be doing in 2019, now is the time, right now, to start putting together those strategic plans and taking possibly some of what Corey and I were just talking about and implementing that into your written game plan for hitting the ground running, come 2019. So with that, I’m Jennifer. Speaker 2: Thanks for listening to the Drmarketingtips.com podcast. 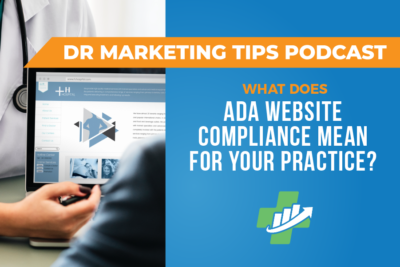 If there’s anything from today’s show you want to learn more about, check out Drmarketingtips.com for our podcast resource center with all the notes, links, and goodies we mentioned during the show. If you’re not already a subscriber to our show, please consider pressing the subscribe button on your podcast player so you never miss one of our future episodes, and if you haven’t given us a rating or review yet on iTunes, please find a spare minute and help us reach and educate even more of our medical practice peers. Thanks again for listening and we’ll catch you next time. Doctor’s orders.